Eeven a beginner can easily make it.And you make an usually usable production. I send a finished product to your home later after baked it, so that please look forward to arrived. I have been absorbed in the ceramic art that began under influence of my father. I closed the design office which he ran. And he is running the Farm Garden Hotel as doing creative activity. 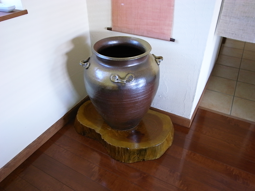 I have a "ASHITAKA KILN" as an associated plant which has the kiln which full-dress ceramic art can make. 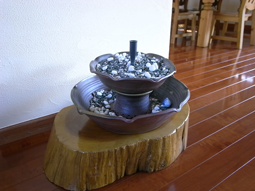 I have many friends through "ASHITAKA KILN", such as a ceramicist, the person who enjoys ceramic art as a hobby. 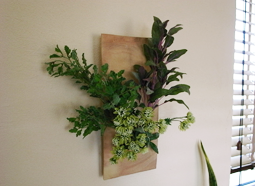 I cherish contact with nature through agriculture and ceramic art and enjoy it. 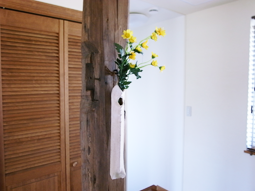 I am glad if you enjoy the stay in the hotel in this Izu blessed naturally.